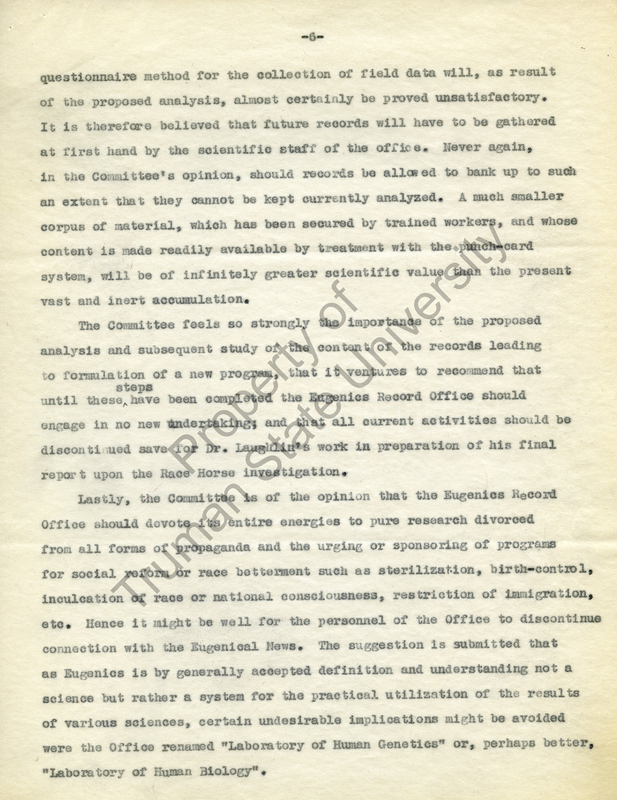 During the mid-1930s, the eugenics movement in America was losing popular support. 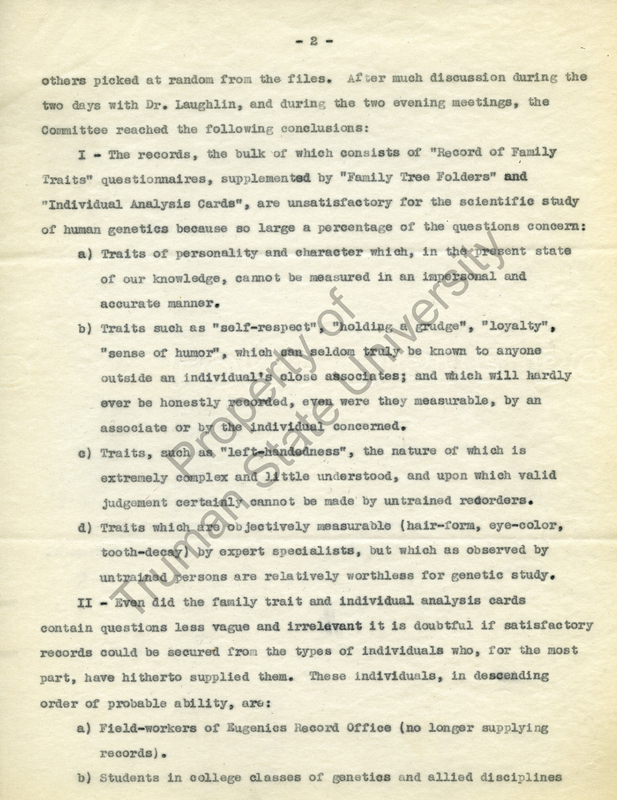 Many Americans saw eugenics in Nazi Germany as inhumane and radical. 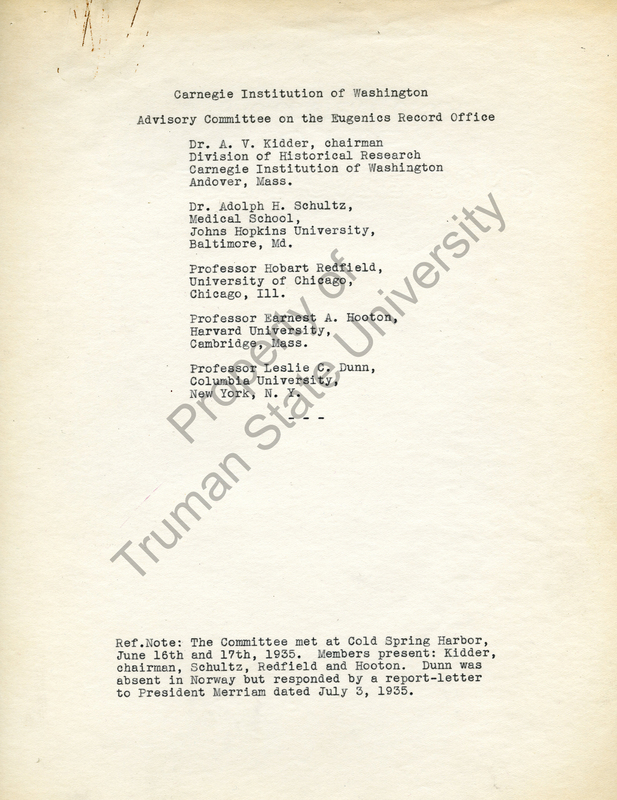 Up until this point, private institutions such as the Carnegie Institute that supported scientific endeavors funded many eugenicists’ research. 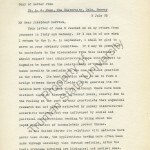 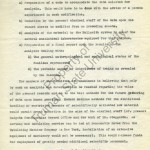 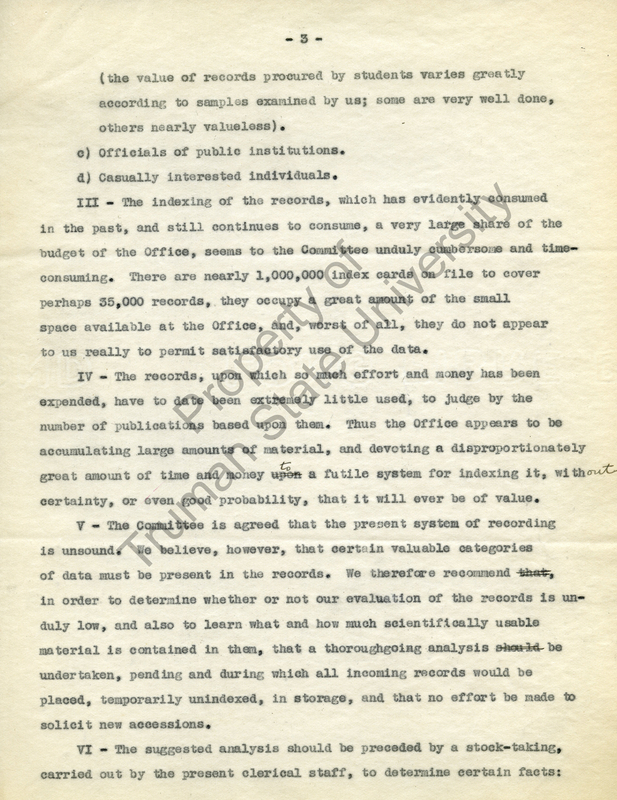 In June 1935, the Carnegie Institute Advisory Committee summarized its findings on the validity and usefulness of the Eugenics Records Office. 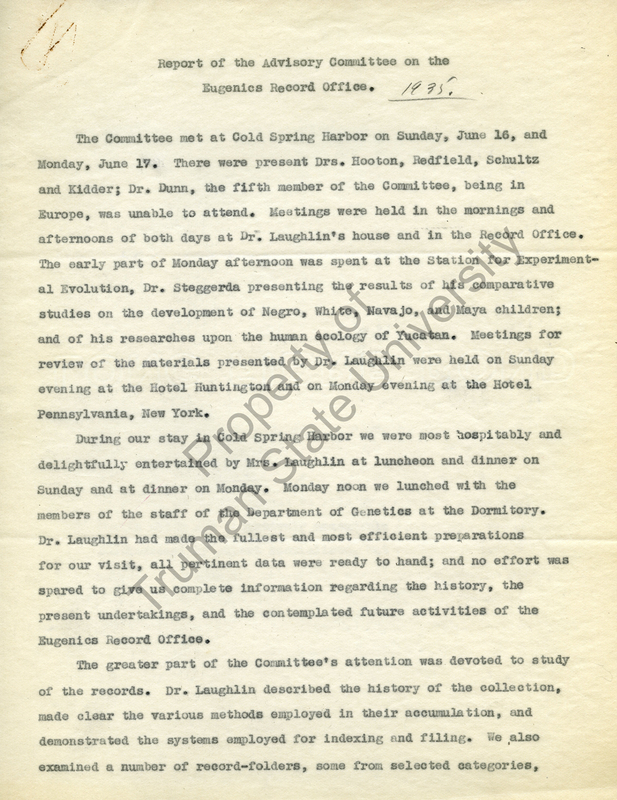 The committee advised the Carnegie Institute to pull funding from this office, of which Harry Laughlin was the director. 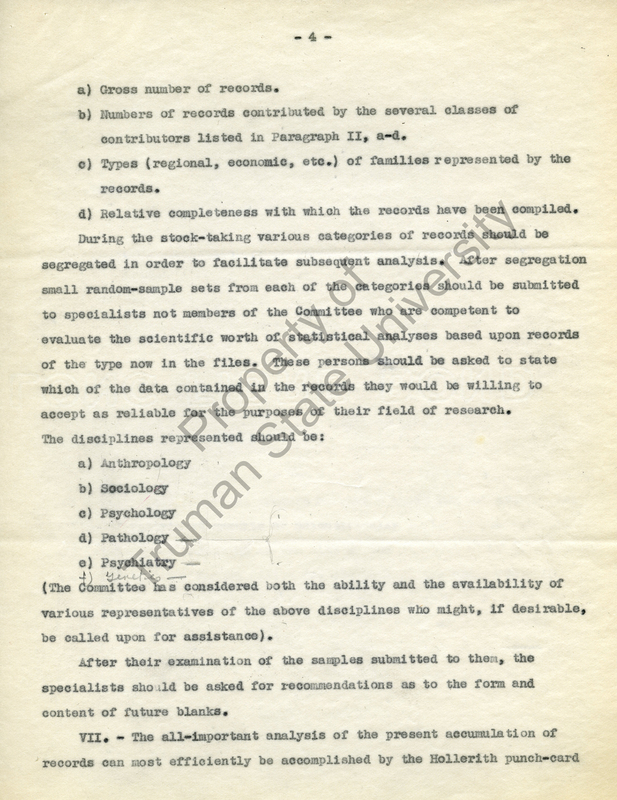 This advice came on the basis of the growing belief among scientists and laymen that eugenics was a pseudoscience, based largely on the social construct of race. 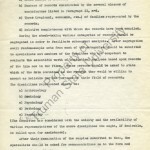 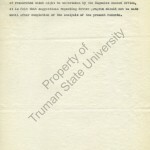 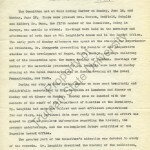 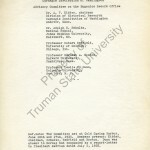 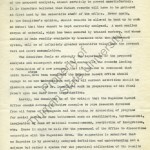 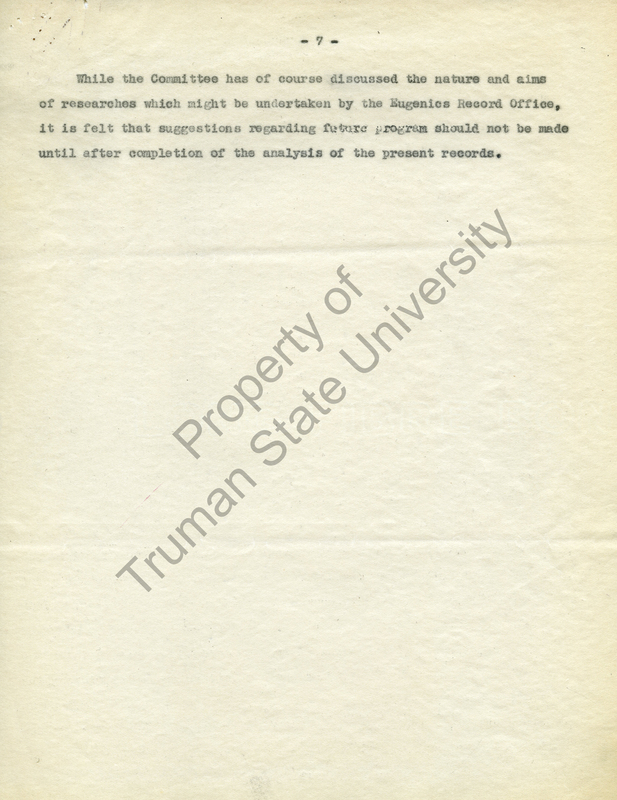 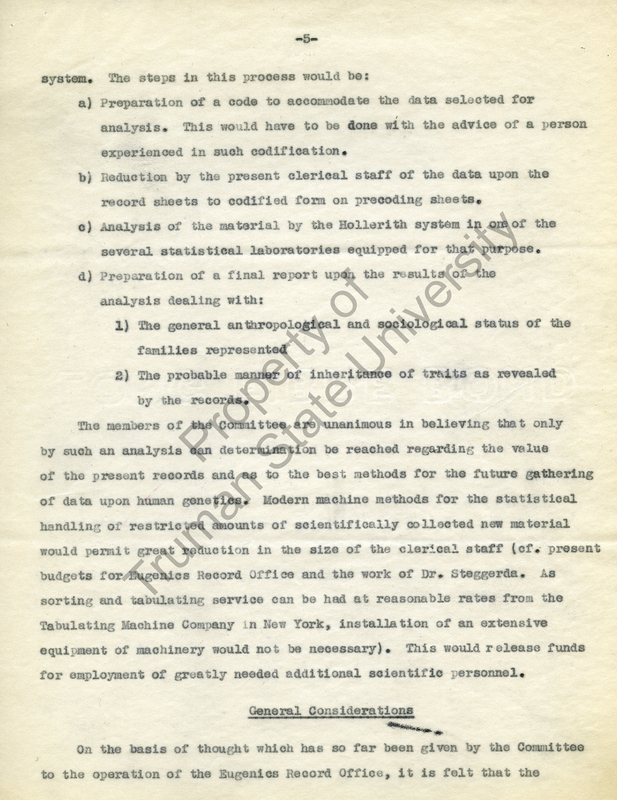 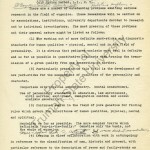 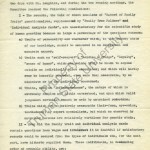 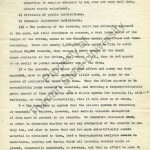 Image Source: Report of the Advisory Committee on the Eugenics Record Office, 1935, Harry H. Laughlin Papers, C-2-2:7, Pickler Memorial Library, Truman State University, Kirksville, Missouri.